Apple’s next iPhone will see its volume production delayed until November or December, according to a report today by DigiTimes’s Steve Shen, citing a report by the Chinese-language Economic Daily News. Reports have been swirling for weeks, suggesting Apple’s upcoming iPhone 8 might not hit store shelves in September, as hoped. Instead, there have been reports that the handset might be delayed to October or even November. The Economic Daily News, however, suggests Apple could ultimately choose to delay the smartphone to as late as December. “Volume production of the 4.7- and 5.5-inch models at Foxconn and Pegatron are now expected to enter full swing in August, 1-2 months later than the normal mass production schedules of new iPhone devices in previous years,” said the report. At the center of the problem, according to the report, is the iPhone 8’s OLED screen. The report didn’t say exactly what’s wrong, but it appears that Apple needs far more units to hit so-called “mass production,” or the level at which a boatload of units will ship worldwide. Initially, Apple will only be able to get a small number of units from its supply chain, leading either to a quick sell-out or delays until it can get more units. 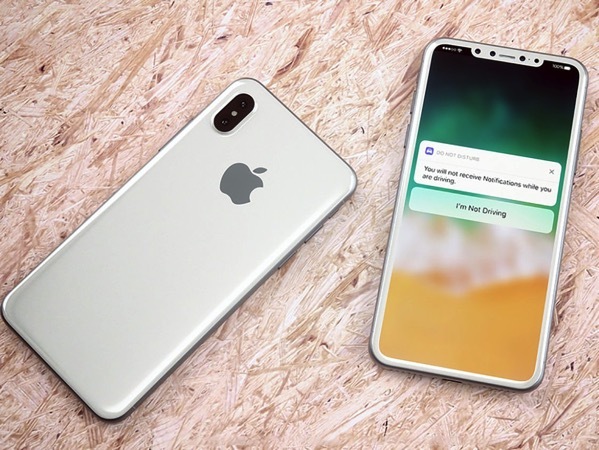 The iPhone 8 is rumored to be the most-high end of Apple’s next iPhones with an OLED display that takes up the entire front of the phone and new features such as a 3D facial scanner. Reports have suggested Apple has struggled with 3D sensors and embedding a fingerprint reader into the display, leading to the delays. Apple typically unveils its new iPhones in September, and that’s expected to continue this year with the iPhone 7s and iPhone 7s Plus. The iPhone 8 is expected to be much more expensive, with reports saying it will start at $1200 USD, nearly twice the cost of the current iPhone 7 models.